Lavender foil edge mark your pages with style. 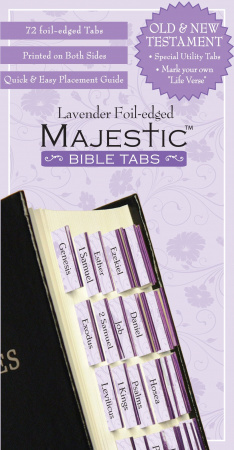 Majestic Bible Tabs make learning easy and enhance your study time. Tabs are precut, self-adhesive, permanent and are printed on both sides. Quick and easy instructions and placement guide are included.